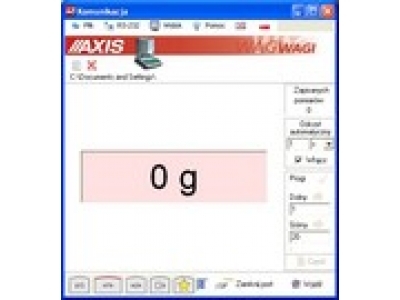 This software is used for receiving and recording data from balance through RS232 serial port in the computer or through the ethernet network, and is designed for cooperation with our balances. It allows for zeroing, tare setting, measurements results reading and data transmission from the balance. It also allows for previewing and recording weighing results in text file, which may be later opened in other software, e.g. spreadsheet, for processing. This software cooperates with all our standard balances, equipped with LONG protocol.